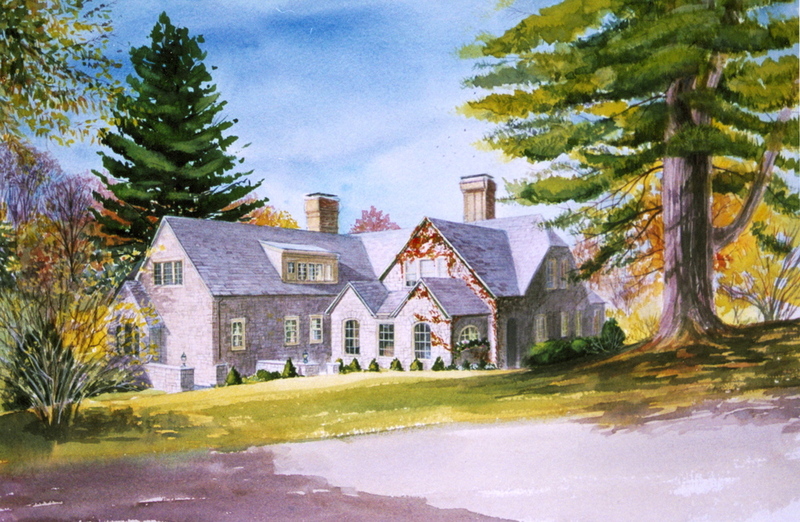 I feel privilege to have painted so many beautiful homes - small ones and large ones. The image here at the top shows four stages (and there are many more) of a watercolor painting. Somehow I got this project and it was fun to do. Below are other images of my work. It's hard to pick the ones I like, there are so many of them and each one is unique. I like all of them. When a deadline is too tight, I often make a gift certificate. 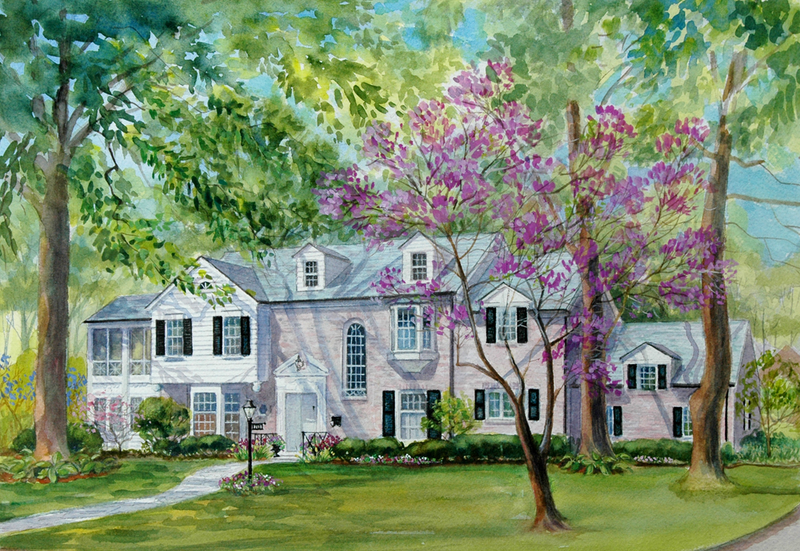 A small sketch of the painting all in an attractive package that my client can give to the recipient. Click here to see an example. Spring is always a great time to capture an image. The colors are fresh and the trees are not hiding the house yet. I love this painting. 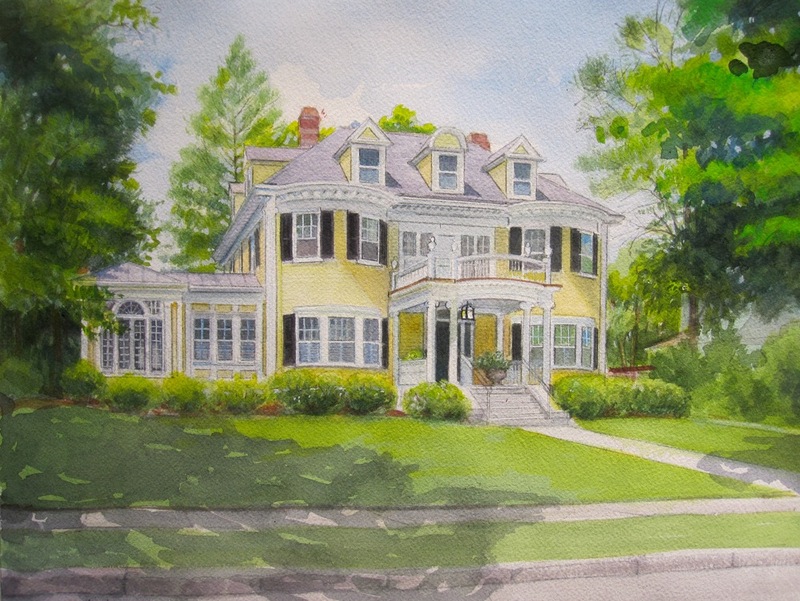 A painting I did in 2014 of an historic home in North Eastern states. The way the sun shines behind the trees makes this painting special. A great house in a beautiful setting! Again, this is one of my favorites. It's an old gorgeous Ladue, St. Louis home. The light hits the left side of the home and is leading your eye into the composition. This is one of my first watercolors and was a charity job. The dark wood and brik of this home contrast nicely in the winter landscape.